A well composed candid photo of this man at work. 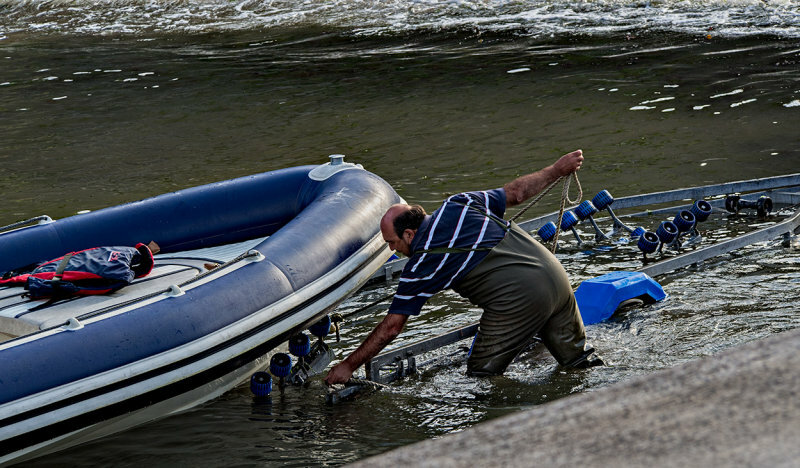 I like the recurring blue and diagonal lines created by the slip, the man's arms and the boat. "V"